Lacey knickers, lacey dresses, lacey stockings… Lace is all over the place at the moment, from catwalks to magazines and even on Royalty. 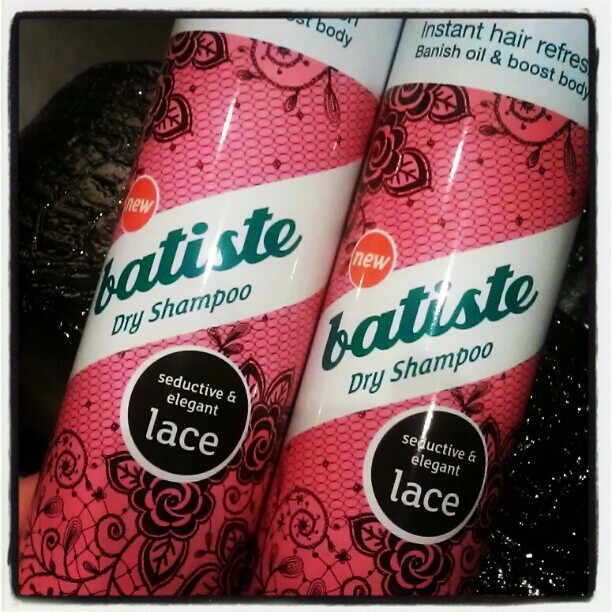 Not one to turn up their nose at a trend, Batiste have gone ahead and launched another addition to their dry shampoo range and it’s all about the intricacies that lace brings. A more sophisticated and elegant fragrance, this is definitely the ‘grown up’ version. It’s subtler than a lot of the others, giving a floral musky hint of scent rather than making you smell like a Pina Colada. I love the cute design of the pack and how this will appeal to the more demure consumer, evidence that Batiste continue to reach out to more demographics and types of customer. We all need a bit of dry shampoo in our lives, so this offers something a little bit different. All dry shampoos have white residue (unless they're coloured) as that's what removes the grease. You need to ensure you're using it right and running your fingers through your hair to get rid of the residue.